Thanks for your generous contributions of books, time and energy. Over the last 3 years, we have shipped almost 15,000 books to the libraries built and supported by Tana River Life Foundation. Inspired by a single photo of empty shelves in a school library, we embarked on this project, which has since brought the joy of books to the community. Great News ! The Sunday Times ran an article on 3rd July 2011 on folks who started charities and foundations overseas. Gabriel was the lead story. The journalist called him in Kenya for a phone interview 2 days before the article was published. For those of you who missed the story, here are 2 copies of the article for your reading pleasure. One of it is scanned copy and the other is a text extract from Factiva. Enjoy ! Incidentally we have collected 10,000 books for the libraries supported by the foundation. Thank you one and all. I will be closing the collection and have started fundraising for the cost of shipping the container load of books, the required books shelves and school furniture. We have raised $3050 to date and are still looking for $950. Please let me know if you would like to contribute to this worthy cause. Thanks to all who contributed to the Tana River book drive. We collected 1638 books at the NLB book exchange on Saturday 16th April. Special thanks to Dennis Au and his team from RI, Fang Chin and the wonderful folks at the NLB, Julie, Geraldine, Jason & his daughter, Yew Hong & William. Many thanks also to the folks who dug into their personal collections and organized book collections, we still have hundreds of books yet to be counted and sorted. I believe we’re well on our way to meet our target of 3000 books for the community library to be built and run by Tana River Life Foundation. I was interviewed by both the Straits Times and Lian He Zao Bao at the book exchange. The foundation was mentioned in both the printed articles. Here they are ! Thanks for your support of Tana River Life Foundation in the past couple of years. 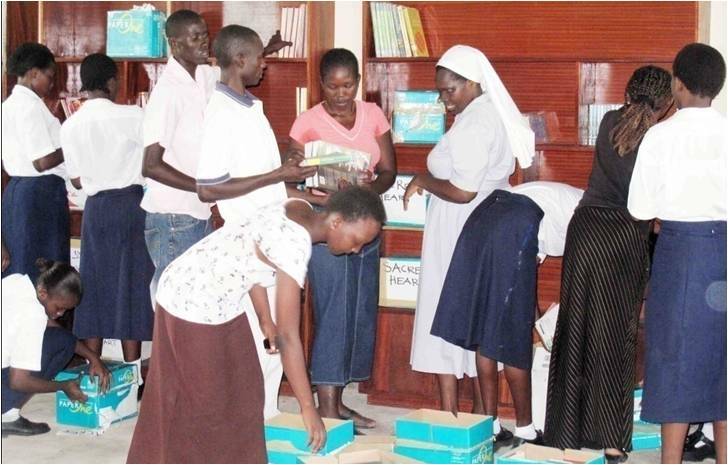 It is that time of the year again to dig into our book collections to help fill the libraries at the schools supported by Tana River Life Foundation in Kenya. This year the books will be filling up the empty libraries at the new nursery & primary school that Gabriel is building and the schools that the foundation supports. As with the previous year, we will be leveraging the annual Book Exchange that the NLB is organizing. Set aside books from your collection for contribution to the TRLF libraries directly. To do this, you would need to have books that meet the TRLF collection requirements. Please download this document : Tana River Life Foundation Book Drive 2011 – info to view the types of books needed. You have up to the end of May to hand the books to me. If your books don’t meet the collection requirements ( eg. books not in English, are too old, pulp fiction, romantic novels, cook books etc ) you can take your books down to the nearest library between now and the 15th of April and exchange them for a Book Exchange voucher per book ( please check http://w16.nlb.gov.sg/page/corporate_page_visitus_AllLibraries for the full list of libraries, their addresses and opening hours. ). The library accepts up to 30 books each time. You can then pass the vouchers back to me before the 16th of April. Volunteer to help us ‘shop’ for books during the exchange on Saturday 16th April. We’ll roster volunteers on 4 hour shifts between 8.30am and 6pm, and provide you with the vouchers and a list of our book requirements. You’ll then “shop” through the books available, check-out using the vouchers and bring the books to our collection table. You may have to do this a couple of times during the 4 hour period. Help us collect A4-sized photocopy-paper boxes. This is the best size for packing, storing and transporting the books to Kenya. 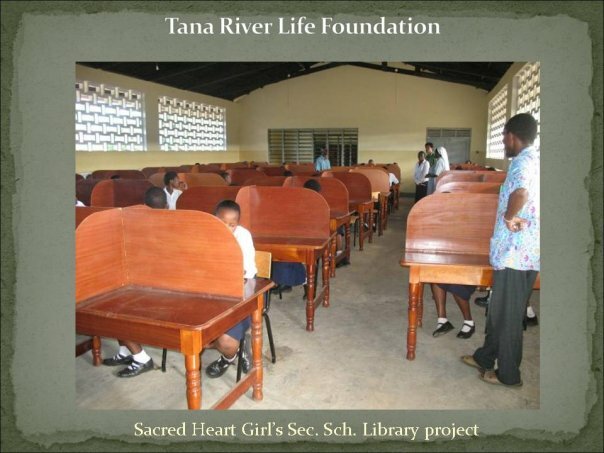 We’re starting the Tana River Book Drive 2011. Do you have books that you’d like to give away ? 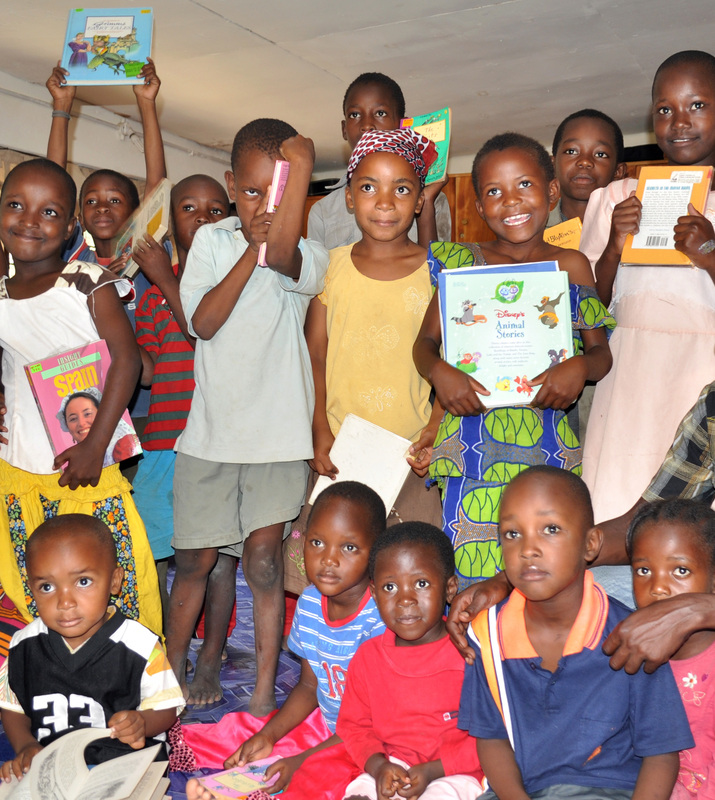 We’re collecting books for nursery, primary and secondary schools supported by Tana River Life Foundation, http://www.tanariverlifefoundation.org. Like previous years, we’ll be doing it in conjunction with the NLB Book Exchange on 16th April. If your have books that may not be suitable for the Tana River libraries ( eg. non-English books, pulp fiction ) you can take them to the local library between 2 to 15 April from 11.00am to 8.00pm and get a coupon for every book accepted. We’ll be collecting the coupons from you so that we can ‘shop’ for suitable books during the book exchange which will be held at the Plaza of the National Library building on Victoria street from 8.30am to 6.30pm on 16 April. If your books are suitable for the Tana River libraries, please contact me, Iris Tay. We’ll arrange to pickup the books from you. If don’t have books and would still like to help, we welcome contributions of empty boxes which used to hold A4 sized photocopier paper. The books will be packed and transported in these boxes as their small sizes make them easy to pack, transport and store. We’ll have more details in the coming weeks. Watch this space ! Thanks ! The National Library has a book exchange drive where coupons are provided for each book donated. 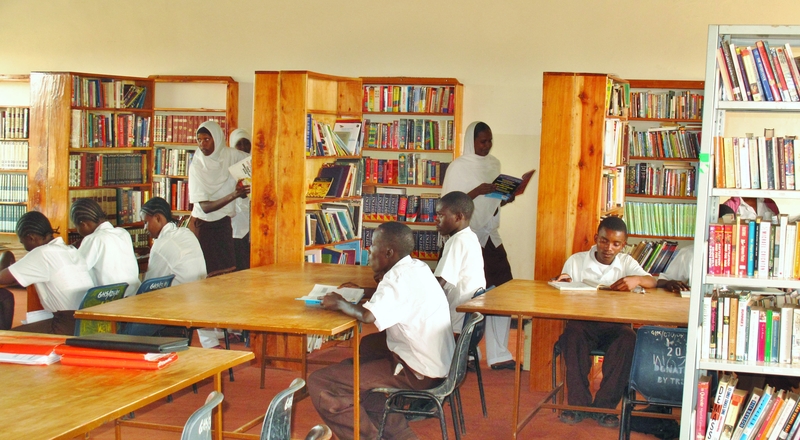 Let’s help Gabriel and the Tana River Life Foundation fill the empty library at the high school you saw on the slideshow. Get folks ( you and your friends ) to bring their old books ( see guidelines below ) to the any branch libraries or the National Library between 11 – 24 April ( now till next Friday ). You’ll get a coupon per book with an upper limit of 30. Pass your coupons to me ( plus it would be great if a few more of you could volunteer your time to pickup the books as each person is again limited to pickup 30 books ). We’ll pickup / scavenge through the piles at the National Library on Saturday April 25. We’ll have to look for some storage space from April 25 to January next year when Gabriel comes around again. Alternatively we can ship the books to Kenya. We can find out how much it cost and see if we can raise the money. National Library Book Exchange DriveIs your home being “invaded” by an expanding personal library? Do you have books that are crying out to be read (but you have no time to do so)? Are you cutting back on book-buying because of the economic crisis? Then come, participate in the BOOK EXCHANGE!! Get ready to dig out all your “expired” books for a 1-1 exchange. Selection and collection of other books with your vouchers is on Apr 25 at NL Building. Recycle Your Reading at the Book Exchange! 1. Bring your used books to any Public Library from 11 to 24 April, 11am to 8pm. On 25 April, used books are accepted only at the National Library Building. 2. Drop off your used books and get a book exchange coupon indicating one-for-one exchange for the books accepted. 3. Bring your coupon to The Plaza, National Library Building, on 25 April to redeem for used books dropped off by other book lovers. 1) Each person can exchange up to a maximum of 30 used books. There is no age limit for participation. 2) We accept children’s and adults’ fiction and non-fiction books (eg. cookbooks, travel guides and romance novels) in any of the four official languages. We also accept used library books bought from previous Library Book Sales. Textbooks, magazines and audio-visual materials will not be accepted. 3) Used books for exchange should be in relatively good physical condition. 4) Coupons issued are transferable. You may pass them on to your family members or friends to help you redeem. 5) Lost coupons are not replaceable. You are advised to keep your coupons properly till the event on 25 April. 6) Plastic/carrier bags and delivery service will not be provided on Sat, 25 April. You are advised to bring your own carrier bags and/or arrange for transportation of books redeemed.